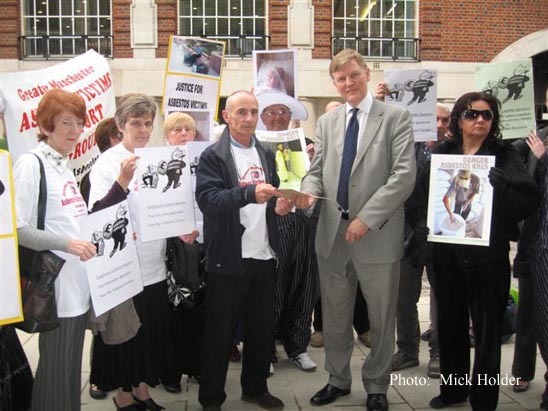 On June 9, 2009, UK asbestos victims' groups mounted a lively demonstration outside the London venue where the Association of British Insurers (ABI) was holding its biennial conference. 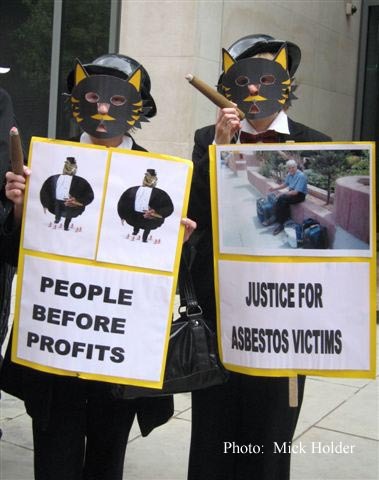 The protestors highlighted the injustice meted out to asbestos victims, many of whom are denied compensation due to the inability to trace Employers' Liability (EL) insurance policies. 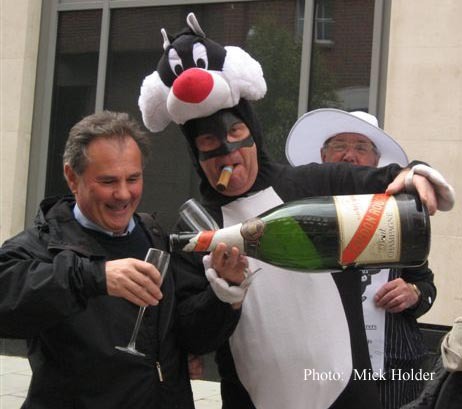 Demonstrators dressed in fat-cat costumes sported big cigars and magnums of champagne to draw attention to the high life enjoyed by the insurers who continue to profit at the expense of the asbestos-injured. 1 Letter by Tony Whitston, Chair of the Forum, to Stephen Hadrill, Director General of the ABI. June 9, 2009.